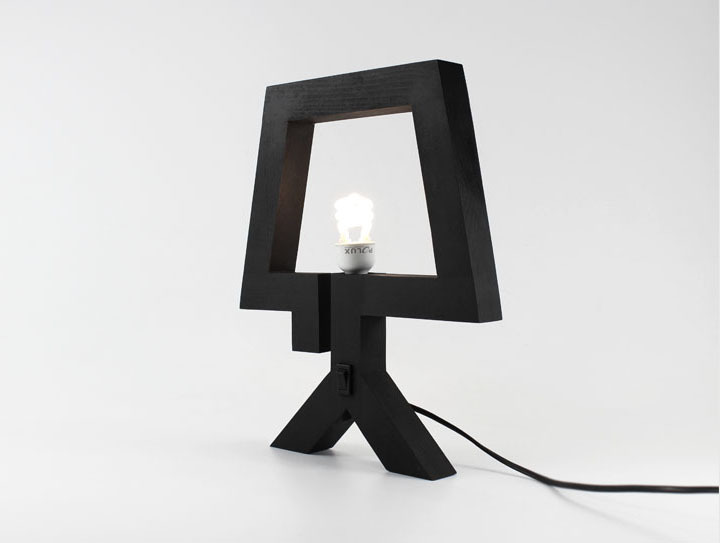 The shape of a traditional night lamp was outlined with the use of a thick, black line. This 35 mm thick beechwood outline encloses a light bulb socket and cable. The lamp may maintain a stable standing position (on two legs) but it is advisable to prop it against the wall. 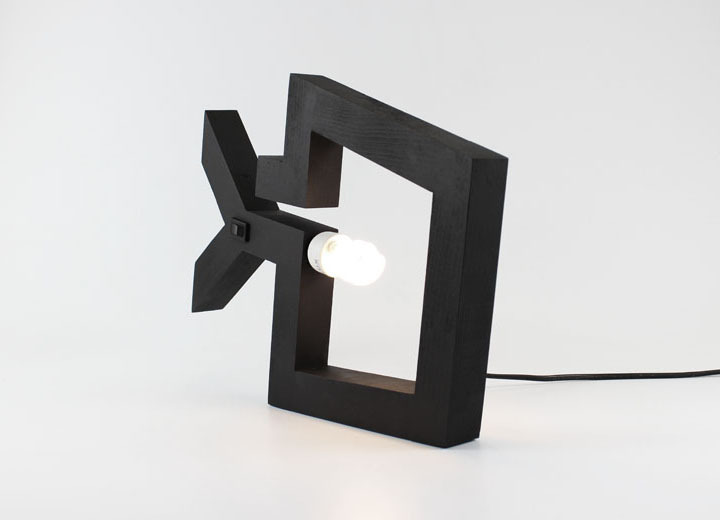 The entire design is a light, neat item which starts a game, a discussion with a stereotypical image of furniture and lighting.